Alias: To those from Heaven, "Patience". To followers of God (Humans), "St.Novo" although he is unrecognizable to them now, they'd call him "Altus Prodigium" but, that is only if they know him, or think they know him. To Demons, Nephilium, and others, "Altus Prodigium". Loyalty: Heaven, he's one of the seven heavenly virtues, Patience. Altus is also an 'intelligence' Archangel, and he had been chosen to investigate Hell, and its prowess... So, he is apart of Hell as well, but, does not share its loyalties, only with a 'mask' does he do so. So, in this sense he'd be neutral, because Hell thinks he is on their side. Age: Thousands, and thousands of years old. Take note, he has Light Brown hair, and not Red Hair, and, his eyes are gray, not cyan. In Archangel Form: In his Archangel Form, he looks the same, except, his eyes become golden, his hair becomes silver, his aura shines in a bright golden fashion, and due to the shining cause his wings to appear a golden-white, even though they are truly only Golden. His clothing as an Archangel is golden and trimmed black, it's heavy armor, but doesn't really effect his movements, or anything since is paranormal, or supernatural, it does however grant him the greatest of protection, capable of rejecting even the strongest levels of Spiritual Substances, as well as weaponry. While in Hell: In hell, Altus maintains his human-like appearance, for one, he's not capable of becoming demon-like, and because two, it shows he isn't being entirely corrupted by the forces of Hell. Notable Physical Traits: Currently, there are no notable physical traits, but, perhaps through time that will change. Wing Span:15ft. per wing, it's long enough and strong enough to protect from stronger magic, and even unique weaponry, he can release, and detain them at will. Wing Color:Altus's wings are uniquely Gold, strange for an Archangel, or Angel in general. They shine gracefully. - The Mastery of the Sword. - The Mastery of his Element, and its potential, as well as his massive amount of its force. - The ability to act masterfully, and lie perfectly. - The Brilliance of his tactical, and strategical mind. - The mastery of diligence. - The Loyalty of an Archangel, he's able to act as loyal as anyone would imagine, while hiding his own ambitions. Personality: Outside of battle Altus remains constantly diligent, as well as coordinated, collected, ect... He is also very loyal to whomever he proposes trust towards. Altus can be very Insightly, capable of seeing others 'true natures' and the analysis peronality, able to disect others movements, goals, personality in an alot quicker time then others would be capable. Altus is usually shy, and quiet... Keeping to himself unless spoken to, then, perhaps he'd reply back. Altus is very intuitive, able to almost automatically have the right answers, due to his analyzing and capabilities. Inside of battle he is very strategic, and tactical, developing steps to take before proceeding with the action. In battle he tends to be more of a leader, normally commanding others, he makes a perfect commander, for, he is one. In battle he is resourceful, able to develop a response very quickly, and coutner the opponnents own use of their own methods and strategies, as well as strengths and weaknesses. Notable Personality Traits: Primarily, Altus is diligent, and a genius of strategy and tactics. Another notable trait is how insightly he is, able to see others true natures, or settings. One notable trait which counters all others is his prowess at lying, able to surpass even those whom are capable of seeing through lies, although, it takes a little more time when it comes to that point. His loyalty is also highly notable. It has a unique Red Blade, forged by God himself. If activated it enables Altus to repel and/or reflect other spiritual properties, which means abilities, demonic powers, angelic powers, ect... for roughly 4 of his posts, and for the rest of the thread it enables him to create things at will, simply by swinging and stabbing and moving his sword. The sword also becomes indestructible for the rest of the thread. 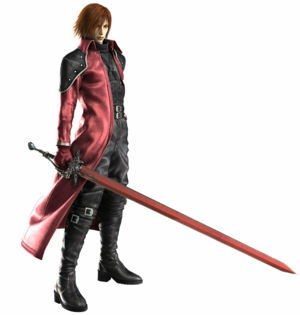 Altus's Pendant: A pendant wrapped nicely around Altus's neck, usually cloaked beneath his upper torso, or his red trench coat. This Pendant enables him to communicate with other Spiritual Entities he has met in the past, and present. As well as, when it's activated gives him "God's Will" which almost immediately returns him to his Archangel form, where he is 5x stronger, and 5x faster, which also fuels him with all the alterations of that form, this causes his Elemental techniques to become greater, and more agile...Naturally quicker to use, and stronger in skill. Also, while wearing the pendant, he is capable of seeing anothers alignment, blue being ally, or of 'general' good faith, red being enemy, or of 'general' bad faith, and gray being of, 'general' neutral faith. It's bound to Altus's values, and heart. The Pendant only works for Altus as well. Whisp of Hope:By pointing his finger, Altus is able to reveal a slight glow of a golden, flashing light. This is seen instantly by fellow Angels in heaven, and it signals Angels to aid the lights position. This is usually used when a comrade is injured and needs assisstance, or when an Angel is put in danger. Judgement:By using Judgement, it causes the area around the caster, roughly 100ft. around the figure to be targeted by several powerful beams of light, which literally destroy any material, and anyone caught in the midst of these powerful, golden beams. This requires a 2 post delay, unless he is in his Archangel from, then it only requires a 1 post delay. Reveal:By using Reveal, the user gathers a holy light all throughout his body, his spirit, and then bursts it in a flash, the burst can temporarily blind foes within a 50ft radius, it is also used to brighten very, very dark places entirely clearly. Holy Seals:This ability unlocks multiple other abilities, which are used to seal other spirits. Of course, these seals are normally time consuming, unless they are only temporarily used. Seals bind opponnents, or imprison them... It is normally done with 4 'tags' and, when place in different formations are able to reveal unique prisons, ropes, bindings, ect... Either way, there will always be a post-limit for these seals to be effective, if not, they'd be considered over-powering. Eviglio:Evigilio enables Altus to create things using his own spiritual property, these things can be animate, inanimate, and are capable of resembling other beings, even ones currently in existence, or others dead. These things can also be creatures. But, when they're created they're lifeless, and have no abilities. This can be done through any part of Altus's body, human or Archangel, that goes for every other Ability revolving around the element, Creo. A maximum of 8 creations per post is what is granted. Effingo:Effinglo enables Altus to duplicate, and make clones of anything he has created. This is done alot quicker, and doesn't have a limit, but, of course, there has to be one in order for it not to be god moddish, and the limit for 1 creation is 20 duplicates. Using Effingo he can make duplicates of himself, for he is already of existence, the amount of charge time in order to duplicate 1-10 amounts is 1 post, for 11-20 it is 2 post charge time. LigoLigo enables Altus to fuse his creations with one another. It can vary from 1 creation into another, or 4 creations into another, ect... And when they are fused their abilities given to them are comined, thus making 1 creation, from a combination of creations ALOT stronger then others, this is also less time consuming then actually making them, and giving them abilities. The charge time for this is 1 post. Adstringo: This can only be done once per thread, and it enables Altus, the actual creator to combine his spiritual properties with only one of his creations, by doing this, he is able to gain the creation he has linked himself to's abilities, and spiritual properties, which includes, angelic, demonic, abilities, ect... This is normally done as a last, ending phase. Since it combines its powers with his own, he can still use Creo, possibly much faster depending on what he has combined himself with. The combining proccess for 'created' to 'creator' takes 1 post to do, leaving an opening for others. Renuo:By using Renuo, it enables Altus to destroy his own creations, this can be done simultaneously, or all in one. Its most notable use is in the midst of combat, when he is battling with another person, it can reject other spiritual properties, which include demonic powers, angelic powers, abilities, ect... At the cost of using his own, depending on how much power and force is used by the opponnent(s) that is how much is taken from Altus, in a lesser form, it can match the opponnent's elemental properties, and skills, to neutralize their force, with his own. Tribuo:Tribuo enables Altus to give others, who aren't his own creations, unique Spiritual Properties, which includes, Demonic, Angelic, Abilities, Elements, ect... In this way, he can make others more powerful, and gifted, for the rest of that thread. Of course, there is a limit. If the one he is using Tribuo on is a Human, he may only add 1 Spiritual Property, which includes any sort of ability, or element, ect... If the one he is using Tribuo on is an Angel, he can give 2 Spiritual Properties. If the one he uses Tribuo on is a Nephilim, he can give them two Spiritual Properties. If the one he is using Tribuo on is a Demon, he can give them two Spiritual Properties. If the one he is using Tribuo on is an Archangel, he can give them 3 Spiritual Properties, and for the Virtues and Deadly Sins, also 3. Any other races in the future, he may given them, is unknown, only because they are not in existence yet, or known. Altus can only use this once per different race, in one thread... And, depending on how many he gives to the person, it's costly. In Heaven, through Heaven's Gate, the strongest of them all, and most durable. Saint Novo, was no longer Saint Novo, to most in Heaven, they referred to him as "Patience" for his Virtue, but, Altus had remembered his name, and would continue greeting others with that name, through his modesty. Upon arrival, Archangel Micahel, God's greatest Angel, had escorted Altus to God's throne, of course, God's figure was constantly glowing, and its aura brought out the greatest of them all, so, his appearance was unclear, as well as the structures within Heaven, for they were all beautifully shining, in a marbled white, and gold. God greeted Patience kind-heartedly, his voice, greater then all known to anyting in the entire World of multiple Worlds. As a sign of trust, and loyalty, God had granted the Archangel, with a Pendant... One which would give him constant communication with all seen throughout his journeys on Earth, and one which would tap into his heart, and make him the Archangel he naturally was. While in Heaven, he had not yet spread his wings, for he hadn't known how to, but, his soft, thick hair, instead of a humanly light brown, was now a shining silver, his eyes instead of a humanly gray, were now golden, and, his clothing, were now graceful, and powerful armor. God had instructed Archangel Michael himself, to guide Altus kindly, like a mentor to his pupil. The first thing he was taught, was to spread his wings, and use them effectively. Oddly, when Altus spread his wings for the first time, they had extended very longated, and were colored Gold, something never found on an Angel? No matter, Archangel Michael had trusted Altus's loyalty to serve God, unlike Lucifer... After mastering his Wings capabilities, Altus was patiently waiting to continue his training, as an Archangel. Eventually, Archangel Michael spent alot of his time, teaching Altus how to activate his "Heavenly Arsenal" which was every Angel's primary weapon, it was unlike your average weaponry, in material and capabilities. 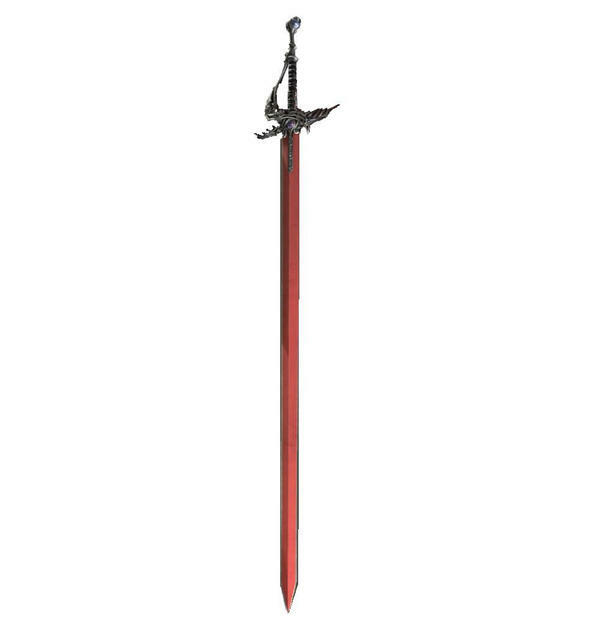 When Altus activated his own, it came out in the form of a European Sword, the Rapier... But, strangely, its uniqueness was the blades color, and the design on the bell and hilt, the Blade was red, and its bell revealed two wings spreading dangerously... It released an immensely powerful aura... Archangel Michael, carefully taught Altus how to use it in its basic form, for, in a more complex form, he'd have to use it and learn it himself. Through time, it had become frequent, and instead of carefully training, had gotten more serious. In a shorter period of time then others, Altus had learned how to master its basic form of use, and for an even lesser time, learned how to master its complex form of use, which had a couple unique abilities. After learning of his Sword's capabilities, and mastering it, he had once more waited patiently to learn of his 'Element' the Archangel had spoken of. When they first began, Archangle Michael's proccess of tutoring the other Archangel had started out slowly, only because revealing your Element in the begginning was a difficult proccess, it required you to be in-tune of your Spirit, even in the afterlife. It didn't take as long as Archangel Michael thought, but, when Altus revealed his Element, it wasn't 'Holy Flames' or 'Ice' or 'Void-Like' , ect... It was an Element only first revealed amongst Heaven... Its point was to create, manipulate and then reject, like a semi-God enforcing its purpose. The Archangel hadn't had it listed in any of their Heavenly Archives... So, it was up to Altus to name it himself. Altus had called it "Creo" and would learn to master it on his own this day forward... Archangel Michael hadn't proven to be of much assisstance, only because it was a foreign Element... Something only used by 1 out of all existence. During Altus's proccess of training, and mastering it on his own, he had unlocked new abilities beneath this one Element, which enhanced his skill, and training. Also, at this point in time, certain Angelic Proffessors, and Scholars, had been researching the Element, being fed information from the trainer himself, Altus... This had proven Altus to be an intellectual, and a prodigy being capable of inventing an Element, and using it formidably. After years of training, possibly centuries, he had mastered the 'general' use of it, but, it was entirely complex, and he continued to Master it, it is now within the Archives, in case this becomes evident in any other Spiritual Being. After training, Archangel Michael, had officially Arch'd the trainee Angel, using his own Heavenly Sword, and, now, after thousands of years of training, he'd be one to be apart of the elite Virtues, as an Archangel. From this day forward, he had proven to be a Leader in the midst of war between Heaven and Hell, and a diplomat when it came to Human affairs... Throughout the time of him being a normal Archangel, he was worshipped in several locations, and was noted by both sides of the Heavenly Plain of Heaven and Hell. Not once during this time, had he walked the Earth, as a Heaven-Human, but in the future, he'd be led to doing so. During his time as Archangel Altus, he was even involved in various duels, which only enhanced his skill, and prowess, in practically everything... He had offcially become Archangel Michael's level, and was even looked at as en equal by Michael himself. Soon, the day in the life of an Average Archangel... Would most definately change. After all of his experiences as an excellent Archangel, he was order into the court of God after not seeing his Ruler, in over a thousand years, of course, through these years Altus had become wise, powerful and dependable, as well as extremely loyal to Heaven. Immediately in the presence of the bright room, and the even brighter light sitting on its throne, Altus bowed. God had greeted him kindly, and they had rejoiced after not seeing one another for a very long time, which wasn't so long to those in Heaven. Behind the happinness, there was worry... God had revealed that wars have worsened, and Heaven and Hell are at it once again, but, not in the Heavenly Plains... But, now, on Earth itself, alot more frequently. Due to the growing threat, God had ordered "Patience" to enroll as a rookie Demon, edging to serve Lucifer, to gain intelligence. Of course, he had also added that through that time, if support would ever be neccessary to him, Heaven would offer it. God had given Altus permission to initiate his human form once more, after thousands and thousands of years... He wouldn't be recognizable, even to the most religious people, because all the remaining portraits of St.Novo were of a Senior, who was emboridled in a royal uniform, and an open, welcoming peace-giver, and keeper. God had also noted that anything mentioned coldly from Altus's voice about Heaven, would be forgiven, as long as it was for the sake of maintaining balance, or peace on Earth, and still serving Heaven loyally. Altus had understood all of this, he'd also be able to go back to his original name, which he had almost forgotten, Altus Prodigium, for, no one in this modern time would know his actual name. With the order commenced, Altus was given 'leave' to Earth, of course, in his Acrhangel form, no one but other Spiritual Entities would be able to see him coming down from the Holy Kingdom of Heaven... Unfortunately, on his landing zone, were a few 'welcomers' simple demons, so, Altus had to slay his way through them, and it was done with ease. After landing successfully, with Gods word, he had become a "Holy-Human" one who would appear like an average Human, but, had tons of Spiritual Energy. The excuse for this massive Spiritual Energy to Hell, would be that "He's a powerful demon." And it'd work, only because, in this form, everything nothing was evident, and, he had masked his personality entirely, although, he still maintained his Patience, for that was unavoidable, natural to him. The Demons had been lured in by Altus's massive amount of Spiritual Force as one might say, after they arrived, Altus informed him, that he was corrupted, he was a Demon serving Hell under this humanly guise known as "Altus Prodigium". The Demons, even the strongest, and wisest of them were convinced... So, they had brought him to the depths of Hell, where he'd be transitting back and forth to. It has been a hundred years since he had served Hell, but, during that time, and even now, he has frequently visited Heaven and back, maintaing his duties as Archangel, and maintaing his duties as Demon, but, there was a difference, he was a Loyal Archangel, serving god... He was only a demon, without loyalty, masking it, under Lucifer. Also, as a 'demon' he doesn't use his 'Element' so, he is a mystery in power to them as well. Impressive. A few things however. 1. "God's Will" seems a little too strong to me, I'm gonna have to ask that the 10x be reduced to about 5x. 2. 200ft for "Judgement" gives little to no ability to dodge, since you'll be a Virtue it should be lowered to 100ft and maybe a 2 post delay for such a strong tech. 3. Most of your Creo abilities'll have to have a post charge time. And maybe only 4 - 8 max creations at a time. But, instead of making it powerless (Judgement) I had said, 2 post charge time in human form, and only 1 post charge time for Archangel. So, I believe it is finished, I hope you are pleased now.